Alexander T. Mitchel concentrates his practice on the appeal of real property tax assessments of office, multifamily, and hotel properties in the District of Columbia, Maryland, and Virginia. 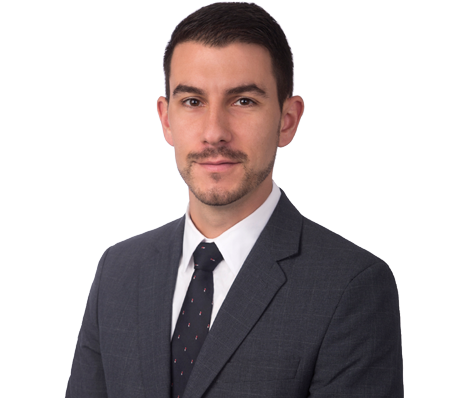 Mr. Mitchel has experience litigating assessment appeals before the Tax Division of D.C. Superior Court, the Maryland Tax Court, and various circuit courts across Virginia, as well as representing clients throughout the administrative appeals process. Prior to joining Grossberg, Yochelson, Fox & Beyda, Mr. Mitchel worked for four years with other leading property tax appeals practices in the region. Mr. Mitchel received a Bachelor of Arts degree from McGill University. He received his law degree with honors from the University of Maryland Carey School of Law, where he served as Editor-in-Chief of the Maryland Law Journal of Race, Religion, Gender & Class.